Moving to Mexico, one needs a maid. It is just written into the DNA of the culture that most “middle class” or “upper middle class” houses have maids. When I was a kid living in Mexico City in the ‘fifties we had two, an upstairs one and a downstairs one. They lived in a tiny little house in the back where the stone laundry sink was. Their quarters were very basic, to say the least. Our downstairs maid, Rosa, was just a couple of years older than I was, and we got to be pretty good friends talking about boys and clothes and makeup (which my mother disapproved of; she didn’t like me getting to close to the “help”.) The upstairs maid was Cuca. Refugio was her real name and I always wished someone would have named ME Refugio, but nice Jewish girls didn’t get names like that, or at least the ones from Encino like me. Maybe if I’d been Sephardic. Cuca was in her sixties at that point and was the only illiterate person I had ever met (granted, I was only twelve) and it fascinated me how she managed to answer the phone, take messages and navigate in the city. In any event, landing in Mexico again fifty years later, we still needed a maid. One of our friends had a terrific maid who needed some extra work, so she joined our household, though nowadays most maids don’t live in, unless the house is a pretty big one. Rosa, who comes to clean three days a week, and stays here to guard the house when we are traveling, turned out to be an even better friend to me than the earlier Rosa had been. She is one of the most intuitive and sensitive women I’ve ever met. Now in her late forties, she was forced to drop out of school in the second grade because “girls don’t need to go to school” and because her family was so poor they couldn’t afford shoes and school supplies, let alone uniforms and the modest fees the Mexican primary schools require. She somehow taught herself to read and write and though she is more than bright enough to have done any number of things, her lot was to clean houses. She does this with dignity and grace and we have become very fond of her over the years. Rosa of course got married way too young. She had a male child who died, but her other three daughters survived: Mireya, Gaby, and the baby, Sofia. Rosa had to endure quite a bit of rejection from her husband and his family because she never produced another boy. She couldn’t really move out, but she did manage to have as little to do with her husband as possible and swore to herself that if nothing else, she would raise her three girls without violence. She decided she would never, under any circumstances, hit them, and she never has. The two older girls now have children of their own (more on them later!) But when I got to know the youngest child, Sofia, she told me that all she wanted to do was study, that she didn’t want to be dragged down with babies like the others. 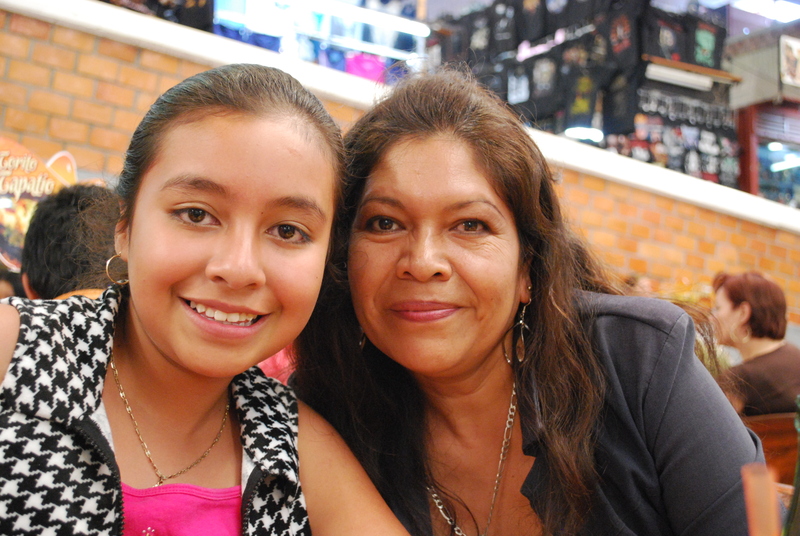 She was afraid that she wouldn’t be able to go to secundaria (middle school) when the time came, because her mom was “just a maid” and even though she was at the top of her class and her school, she was not certain that she would be able to continue. Of course, Sofia was smart enough to come to me! (She probably knew a sucker when she saw one). I told her that if she continued to keep her grades up, Arnold and I would help her stay in school and we’d help her go as far as she wanted. 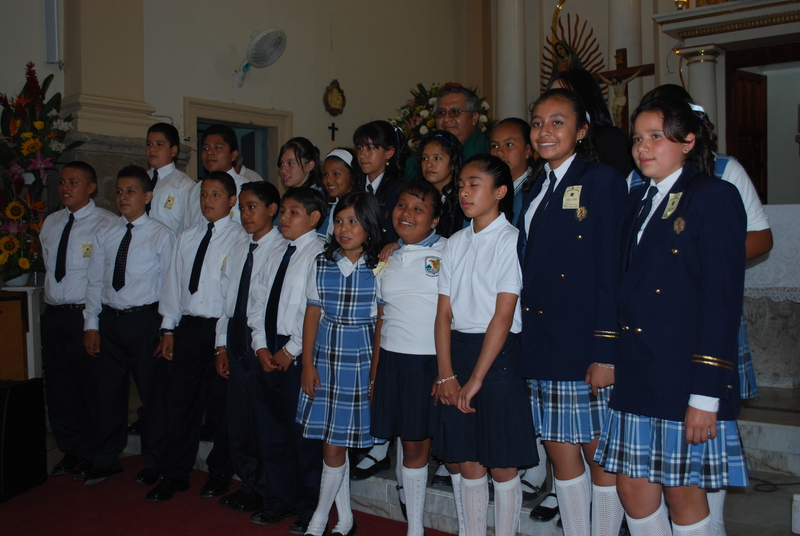 We began to help with tuition, uniforms, books, and other expenses through one of the local charities that exists as a go-between to help expats who want to provide that sort of assistance to deserving kids in the local public schools. That arrangement went on for a couple of years, and Sofia continued to do well academically, but we could see that she was utterly alone, without any friends, and I suspected underneath it all, she was pretty depressed. The girls were all pairing up with boys and the pressure was on her to find a “novio” pretty soon. She hated the whole business. I felt that the time might be coming to yank her out of there and try to get her into a better school where she would meet kids from families who expected their children not only to finish high school, but to go on to college, since while she couldn’t fully articulate it, I knew that was what she wanted for herself as well. I wangled a meeting with the headmaster of one of the good private schools here, and showed up with Sofi’s grades, her “reconocimientos” (awards) and helped Rosa fill out an application for a scholarship. 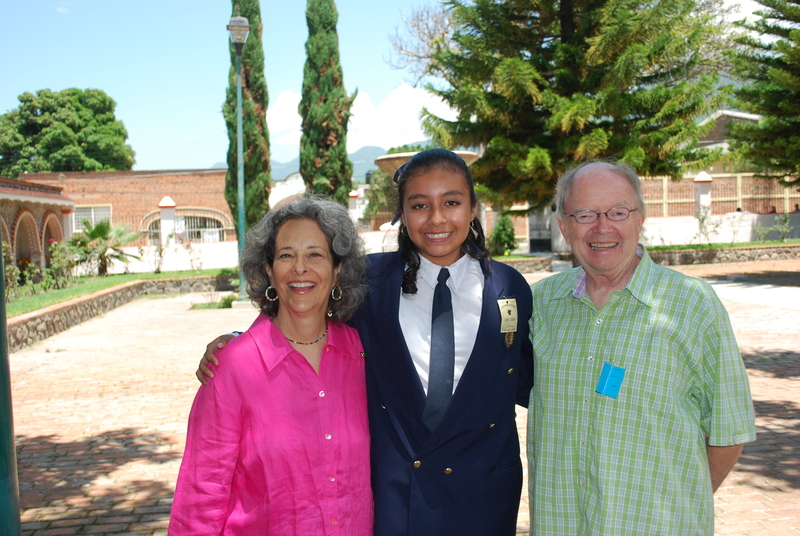 Sofia was accepted and given a 50% scholarship – we and other friends are making up the difference. Since she has been at the new school, she has been a whole new kid. For the first time in her life, she has friends – gobs of them, and a real social life. She loves it there. We are about to get her first set of grades since she made the transfer – we’ll see soon how tough the coursework has been for her and how difficult the academic adjustment has been. But it has been fun to see her blossom into a regular old teenager, complete with a “crowd” of girls to hang out with, occasional bouts of predictable moodiness, and a keen desire to have the coolest clothes she can possibly scrounge together. Her new friends, most of whom come from far wealthier families, have been very kind to her and welcomed her into her new “salon” (class) with open arms. She was terrified of course, and so was Rosa, that it would be hard for her to make that social leap. Rosa and Sofia share a bed in Rosa’s tiny house; all Sofia wants is a bed and a room of her own someday. At least planning to go on to college, she may have half a chance of actually getting one.